With just a mobile phone in your hand, you can hop on the subway or bus, shop in a supermarket or convenience store, pay for needed supplies while on campus or settle a traffic fine via the mobile Quick Pass function. This is now part and parcel of the daily routine for many people in China. Today, mobile payments have seamlessly penetrated into every person's daily activities and has had a profound effect on their lives. All eyes are on China, as the world's most populous country has rapidly taken the lead into the era of mobile payment. A survey of 18,000 consumers across 23 countries and regions by Ipsos, a leading international market research firm, shows that 77% of all Chinese use mobile payment services, ranking the country first in the world. The penetration rate of mobile payment in the United States and Japan has so far only reached 48 per cent and 27 per cent respectively. Given the size of the Chinese population, the difference is remarkable. Taking the daily movement of its population as an example, dramatic changes have been observed in the way Chinese commuters and travelers pay when they board a bus or subway or drive a car to get where they are going, all of which has been made possible by the popularity of mobile payments. Using UnionPay mobile payment to settle all fees that occur while in transit is now the commonly accepted way to get from point A to point B in more than 400 counties and cities across China, with the highest percentages of the population already doing so located in Shanghai, Guangzhou, Tianjin, Hangzhou, Fuzhou and Jinan. To cite Hubei province as just one example, car owners who have added their vehicle information to the UnionPay app and set up their UnionPay payment function as the default payment option can drive through any toll plaza along the highway without stopping, and the system will automatically recognize the license plate and submit the highway toll. With the goal of improving the quality of life through service enhancements that benefit every person resident in China, a project to evidence the convenience of mobile payments under the aegis of China's central bank named the "Mobile payment convenience demonstration project" targets areas that are most likely to touch on every person's life, including what are referred to as the ten major payment scenarios: travel by bus or subway, food market and other local convenience shopping, restaurant dining, supermarket shopping, use of public services, self-service vending machines, on-campus activities, the college or university cafeteria, healthcare and settlement of traffic fines, among others. Consumers can settle the payment quickly and efficiently as long as they use UnionPay app, UnionPay mobile QuickPass and UnionPay QR code payment. UnionPay's convenience service network for mobile payment is now available in 100 model cities across China ,with the ability to use the payment option to pay for, among other things, clothing, food, accommodations, transportation, entertainment and shopping. The UnionPay app and UnionPay QR code payment is now available at more than 38,000 merchants in over 1,900 shopping malls as well as at 9,000 merchants on 318 college campuses. In terms of paying for public services, the payment option is available in over 300 cities across China for the settlement of more than 1,700 items including water, electricity and gas, while traffic violations in Tianjin and Shanghai can be settled on the spot with a direct payment via the UnionPay app. 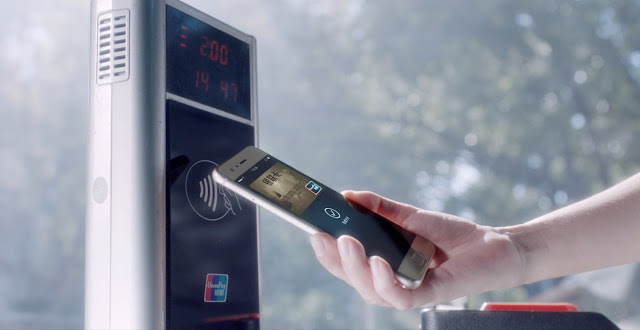 In the public transportation sector, UnionPay's mobile payment options, including the UnionPay app, has become the ubiquitous way to collect the fare in buses, subways and taxis, to pay for a plane ticket and to collect highway tolls. Why is China rapidly taking the lead in mobile payments? This is mainly due to the Chinese central bank's "Mobile payment convenience demonstration project" as mentioned above and promoted by UnionPay and other major banks. The project is not just a commercial enterprise, but a project for the convenience of Chinese the people, with the mission of benefiting the populace at large under the aegis of the Chinese government and the support of the whole country. For these reasons, it is not surprising that China has taken the lead in the mobile payment era. In the next stage of development for the world's economy, China is ready and willing to step up to the plate and extend these benefits to the people of the world.